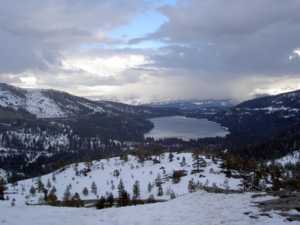 Donner Lake is located about 100 miles east of Sacramento via Interstate 80 and near the town of Truckee. 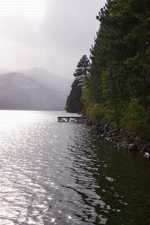 Donner Memorial State Park at the East end of the lake offers the summer vacationer opportunities for camping, picnicking, boating, fishing, water-skiing, and hiking. In winter, visitors can cross-country ski and snowshoe on trails and enjoy the season's beauty. Visitors are welcome year-round at the Emigrant Trail Museum and at the Pioneer Monument, built to commemorate those who emigrated to California from the east in the mid-1800's. Included in the museum are displays and information about one of the earliest pioneer wagon trains, the Donner Party, forced by weather to camp at the east end of Donner Lake in the winter of 1846-47, resulting in death for many of them. 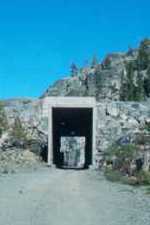 Nearby Truckee is a fascinating historic town four miles east of Donner Lake. The 150-year-old community was an old world playground and is now a present day recreation destination. A map available from the Chamber of Commerce will guide you through a 45-minute walking tour of this town that was the first major settlement in the Sierras. Truckee also served as the gateway to the West for the pioneers who helped build the Trans-continental Railroad. Some of the now abandoned train tunnels perched on the cliffs high above the lake can be explored on foot. 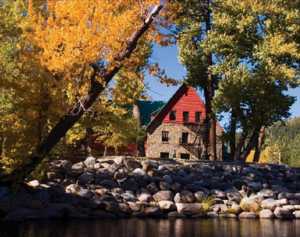 A sample of the many unique nearby places to stay include the Historic Rainbow Lodge at Soda Springs which overlooks the Yuba River, Shinneyboo Creek Log Cabins on the Western slope of Donner Pass, Donner Lake Inn across the street from the lake, and numerous vacation rental houses within walking distance of the shoreline.